CBS Journalist who once presented a popular program Kalabalaba & Munsi ne mu bwengula has joined other popular staff like Aisha Ssematiko & Ernest Lule Basajjakambwe who have died in the last couple of years. 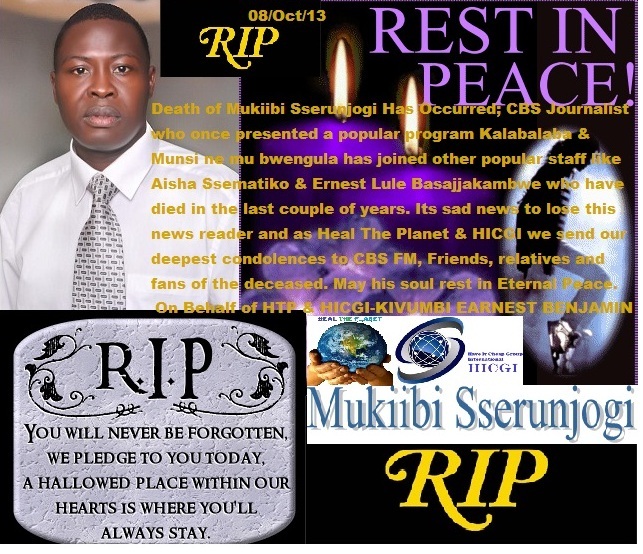 Its sad news to lose this news reader and as Heal The Planet & HICGI we send our deepest condolences to CBS FM, Friends, relatives and fans of the deceased. May his soul rest in Eternal Peace. In his hey days, Mukiibi’ news reading humour made everyone super-glued on CBS Radio so as not to miss out on news. His political programs where he was daring and fearless made him a darling of the opposition, but brought him in the firing line of the ruling NRM party. Though he was a journalist, he never hid his true DP colours and used his political programs to throw barbs at NRM for its ‘failures’. No wonder, when CBS FM was shut down, Government singled him out as one of the “stubborn” brains at the station. 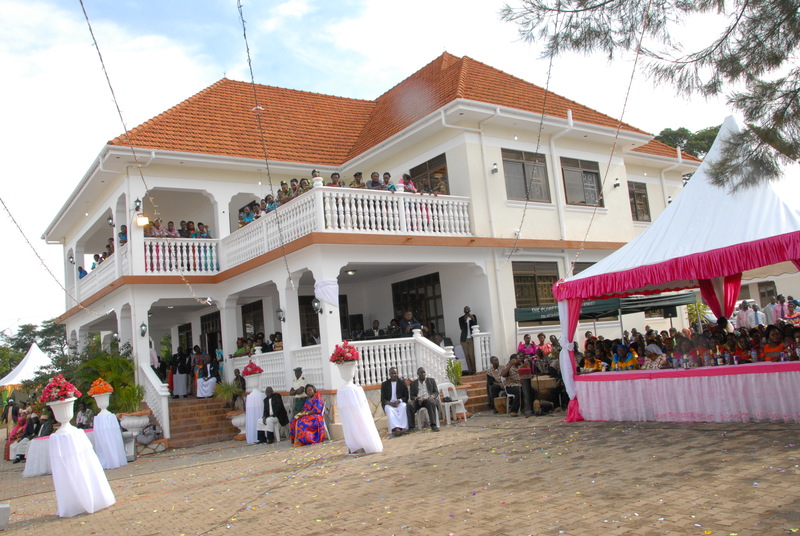 He was very instrumental in pressurizing government to open CBS along with many other Buganda Radio journalists. As would be expected, when the Radio was re-opened, Sserunjogi found himself with no job. Government made it a condition he had to leave CBS before it could be opened. After losing his job, Mukiibi took a low profile out of his own choice. Given his good record and journalistic prowess, he would have easily found a job. But instead, he shortly after contracted cancer of the arm and later, brain tumour which have conspired to make his life a living hell. Reblogged this on patrickyeyune's Blog.